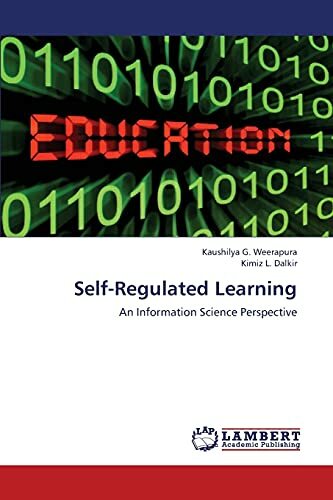 This book views the popular Education concept of self-regulated learning from an Information Science perspective. The focus is placed on a learner-centred, interdisciplinary study on strategies of using information that help university students with their learning processes. This was a naturalistic study designed to better understand both the general nature of the information use process and the influence of strategies on this process. To conduct this study, literature was drawn from seven major disciplines &#x2013; Semiotics, Linguistics, Information Science, Education, Educational Psychology, and Cognitive Science. As a result, the book provides a concise interdisciplinary overview of strategies used for self-regulated learning. The two frameworks developed by this study represent significant theoretical and practical contributions. The first framework provides an overview of the information use process in an ill-structured-domain learning task. The second framework demonstrates the influence of strategies on this process. These two frameworks could be used as springboards for future information science research. These frameworks could also be used to design instructional programs. Dr. Weerapura has a BSc (MIS), MSc (Information Science), PhD (Educational Technology). She is an Information Architect specializing in strategic learning and IM/KM. Prof. Dalkir specializes in IM/KM. She has a BSc (Biology), MBA (MIS), PhD (Educational Technology). She is an Associate Professor &amp; Executive Director of Student Affairs at McGill.